From Academy Award winner ROGER CHRISTIAN, a feature documentary based on the five creative geniuses who helped make STAR WARS. 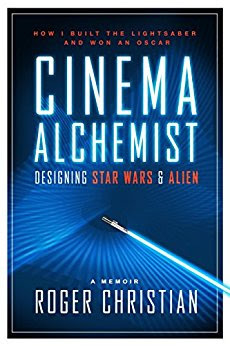 Based on his international book, CINEMA ALCHEMIST, this inspiring tale will take you around the world with never seen before interviews, photographs and STAR WARS tales. Roger Christian is an award-winning production designer and filmmaker, whose significant contributions to the global success of Alien and Star Wars are legendary. As a director, Roger’s work includes Black Angel, The Sender, and Nostradamus, and he acted as second-unit director on Star Wars: Episode VI – Return Of The Jedi, and Star Wars: Episode I - The Phantom Menace.